Despite a severe earthquake in September 1985, the 1986 FIFA World Cup TM was held by Mexico. 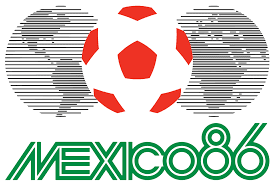 Eleven cities located in central Mexico were chosen to host the tournament and the Azteca Stadium in Mexico City, hosted 9 matches including the final. 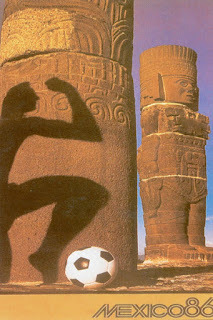 Mexico City and surrounds hosted 16 matches. The Jalisco Stadium in Guadalajara hosted 7 matches, and the Cuauhtémoc Stadium in Puebla hosted 5 matches. Most matches were played in high altitude locations 7,380 feet (2,250 m) above sea level. The tournament was the second to feature a 24-team format. 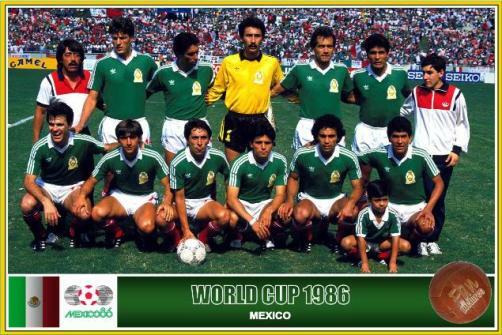 Mexico (hosts) and defending champions Italy, were joined by: West Germany, Argentina, Brazil, Paraguay, Uruguay, South Korea, Algeria, Morocco, Belgium, Bulgaria, England, France, Hungary, Northern Ireland, Poland, Portugal, Spain, Scotland, and the Soviet Union . Canada, Denmark and Iraq qualified for the World Cup for the first time. Squads for the 1986 World Cup consisted of 22 players. In the first round, the teams were divided into six groups of four (A to F). The top two teams and the four best third-place finishers from the six groups advanced to the knockout round of 16 teams. 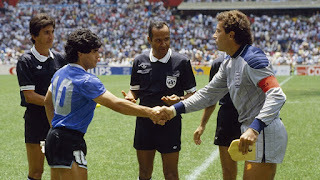 The opening match was between defending champions Italy and Bulgaria in the Azteca Stadium ended in a one all draw in front of 96000 spectators. 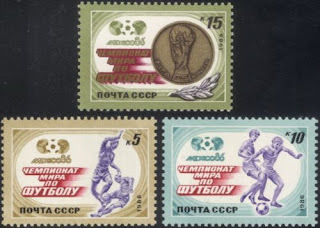 The format of the competition changed from 1982, with the second round being played on a pre-quarterfinal, knockout competition, for which 16 teams would qualify. It was also decided that the final two matches in all groups would kick off simultaneously, to ensure complete fairness. The adidas, Azteca Mexico was developed specially for the 1986 tournament. It was made entirely from synthetic material in layers, each with different properties to give strength to the ball, the ability to retain its shape, as well as make it fully waterproof. The ball was hand-sewn ball, and for the first time, with synthetic material. The ball performed well on hard ground, at high altitude, and in wet conditions. 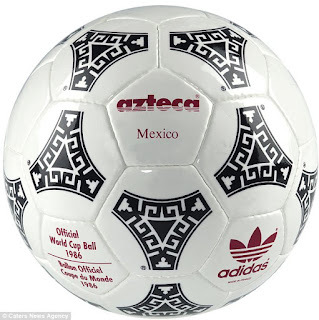 The ball’s distinctive outer design was inspired by native Aztec architecture and murals. In total ‎132 competition goals were scored by 82 different players, with two of them credited as own goals. On average 2.54 goals were scored per match. 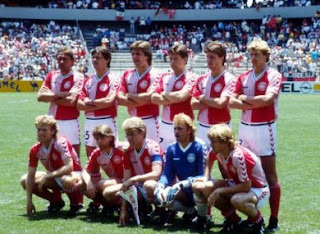 Denmark topped their group unbeaten. They beat Scotland 1–0 in their first game, hammered Uruguay 6–1, with Preben Elkjær Larsen hitting a hat-trick, then beat the favourites, West Germany 2-0 , to win the their Group . 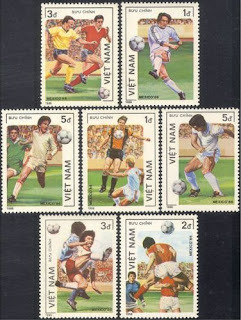 Scotland meantime went on the lose against West Germany 2 -1, then, after a violent 0–0 draw against Uruguay, were eliminated from their tournament. During the Uruguay game José Batista (Uruguay) was sent off after less than one minute (56 seconds) of play for a foul on Strachan. This remains a World Cup record. 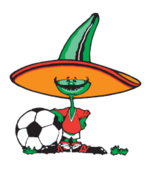 Pique (the jalapeño pepper) was the official mascot of the 1986 World Cup. Pique, was a pepper with a moustache, a Colimote sombrero, and Mexican football team colours. The world's fascination with the FIFA World Cup continued with the release of World Cup themed postage stamps. Panini again released stickers and sticker album which were now being avidly collected worldwide. Denmark’s run came to an end in the next round when they were beaten 5 – 1 by Spain. Emilio Butragueño (Spain), scored four of his team's five goals. 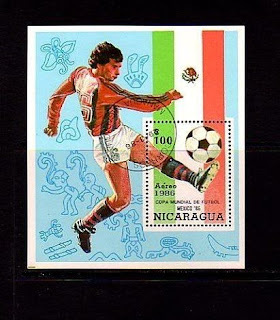 At the Olympic University Stadium, Mexico City, France ended Italy's reign as world champions with a 2–0 victory from Michel Platini and Yannick Stopyra. The all-South American tie between Argentina and Uruguay ended with a 1 -0 win for Argentina after a Diego Maradona's goal was disallowed. England progressed to the quarter-finals comfortably with a 3-0 win over Paraguay and, Brazil beat Poland 4–0. 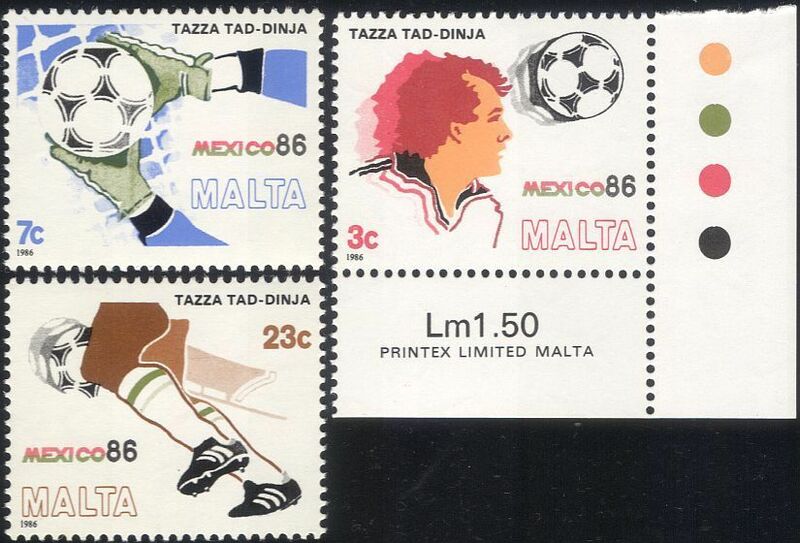 Morocco were able to match West Germany thanks to an outstanding performance by goalkeeper Badou Zaki . 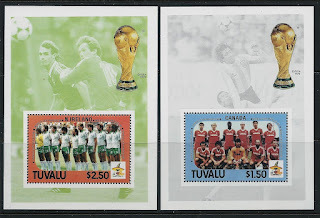 However, Lothar Matthäus (Germany) eventually scored from a free kick in the 87th minute to give West Germany the win. 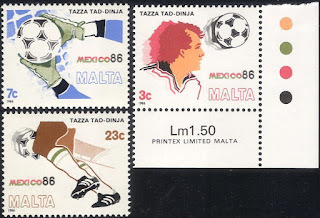 Mexico beat Bulgaria 2–0 including a spectacular scissor-kick by Manuel Negrete. In the quarter-finals, three matches went the distance and were decided after extra time, on penalties. 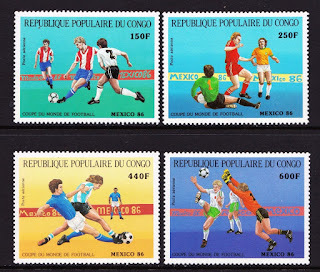 France beat Brazil, 4–3; Belgium won their shoot-out with Spain, 5–4; and West Germany eliminated hosts, Mexico 4–1 on penalties. All eyes were on the quarter-final between Argentina and England at the Azteca. 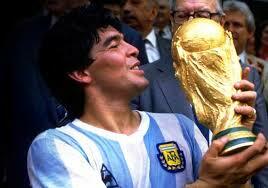 The game ended 2-1 Argentina with both goals for the winner scored by Diego Maradona. His first in most controversial style as he punched the ball into the goal. Everyone saw the "Hand of God" goal except the referee and the goal was given as valid. 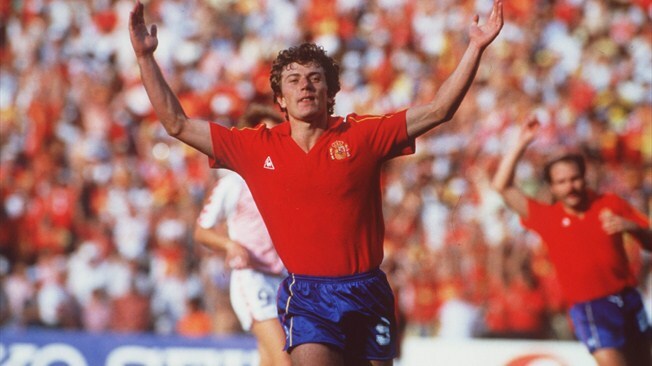 His second effort voted the "Goal of the Century" came after Maradona dribbled half the length of the field past five English players before scoring. 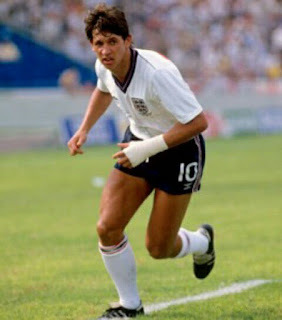 Gary Lineker scored a consolation goal for England, late in the match. 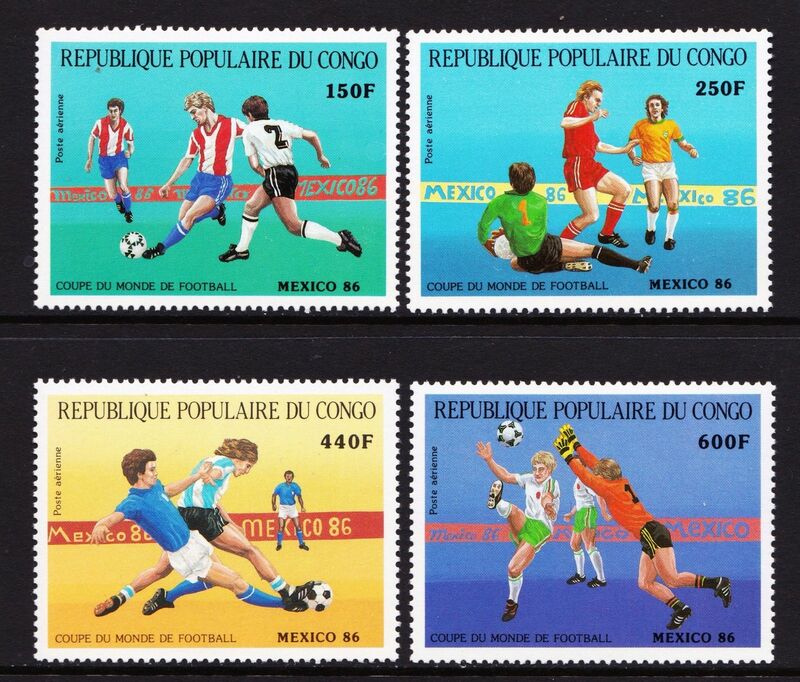 West Germany beat France 2-0 to reach the final for the second World Cup in succession and Argentina with the same score-line dismissed Belgium. The final at Estadio Azteca, Mexico City was played in front of 114,600. spectators. Argentina beat West Germany 3–2, to regained the world title and 30 million people in Argentina celebrated in the streets after the final victory.